Learn to golf at the New England Golf and Tennis Camp. This program is designed for the youth golfer that needs to learn the basics of golf. Designed for the junior golf players that are very new to the game or have never played golf before. 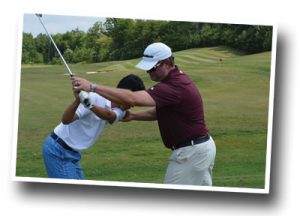 Less Intensity – Golf Instruction and play but with more time to get involved with other camp activities – Same quality kids golf instruction and program, but instruction only a few times a week. Includes course play on our NEGTC training course. 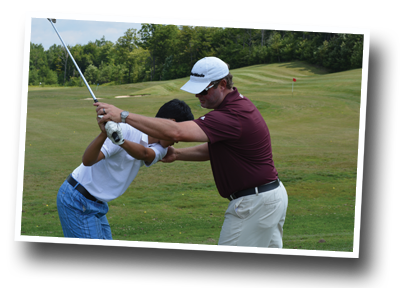 This golf program is designed for the junior golfer that has been playing for a few years and has already learned the basics of the golf game. Each golfer will receive the basics of a good set up that will lead to improvement in all areas of the golf swing. Includes some video analysis, private lessons, small group lessons and once a week outside golf course play. A golf program at the New England Golf and Tennis Camp designed for 8 – 11 year old boys and girls. This pre-teen golf program is designed for the player that has a USGA handicap index of 24.0 or less. Includes V1 Video Analysis, professional club fitting, additional individual instruction in all areas of the game, match and stroke play tournaments and on course instruction. When combined with Golf Plus campers will play on outside golf courses a minimum of three times a week. 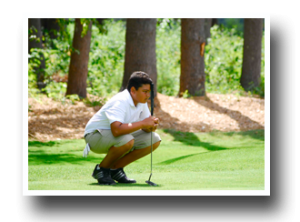 This golf program is limited in space and is designed for 12 – 17 year old boys and girls with a USGA handicap index of 16.0 or less. It is for teenage golfers interested in competing at the high school and college level and gaining an edge. Includes V1 Video Analysis, professional club fitting, additional individual instruction in all areas of the game, match and stroke play tournaments and on course instruction. When combined with Golf Plus campers will play on outside golf courses a minimum of three times a week. This golf program is designed for campers 15 -17 that qualify for the advance program and includes everything in advance program with additional V1 Analysis and other cutting edge instructional technology. When combined with Golf Plus this program will include Maine State Junior Golf Tournaments. Golf Plus is offered to Elite, Advanced and Intermediate level campers. There is an extra fee for this program and it includes outside golf course play at some of Maine’s finest golf courses. Those that are registered for Golf Plus will play outside golf courses at least 3 times a week.